PORTLAND, OR - JANUARY 18: Anthony Davis #23 of the New Orleans Pelicans shoots a free throw during the game against the Portland Trail Blazers on January 18, 2019 at the Moda Center Arena in Portland, Oregon. 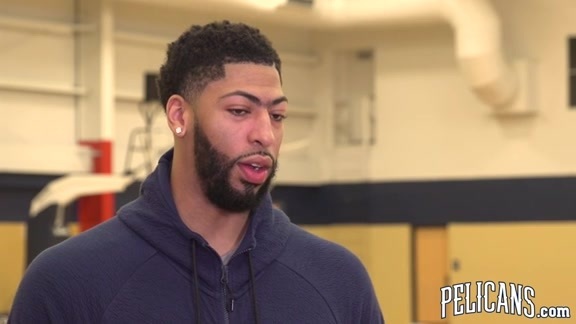 NEW ORLEANS – New Orleans Pelicans forward Anthony Davis sustained a left index finger sprain, the team announced today. The injury occurred during the fourth quarter of last night’s game at Portland. Davis is expected to be out approximately 1-2 weeks.